The Bermuda Under 19 team defeated PHC 33 – 7, Inshanae Smith led the Bermuda Under 19 team with 13 goals, while Nabiilah Nasir added 11 goals, Demiqua Daniels scored 7 times and Kaamilah Nasir scored 3 goals, Sonja Townsend scored 4 goals for PHC, while Vernicka Symonds added 3 goals. Amali Smith was named the Bermuda Under 19 MVP, with Smith named the Attacker of the game for the winners and Debre Evans was named the Bermuda Under 19 Defender of the game. 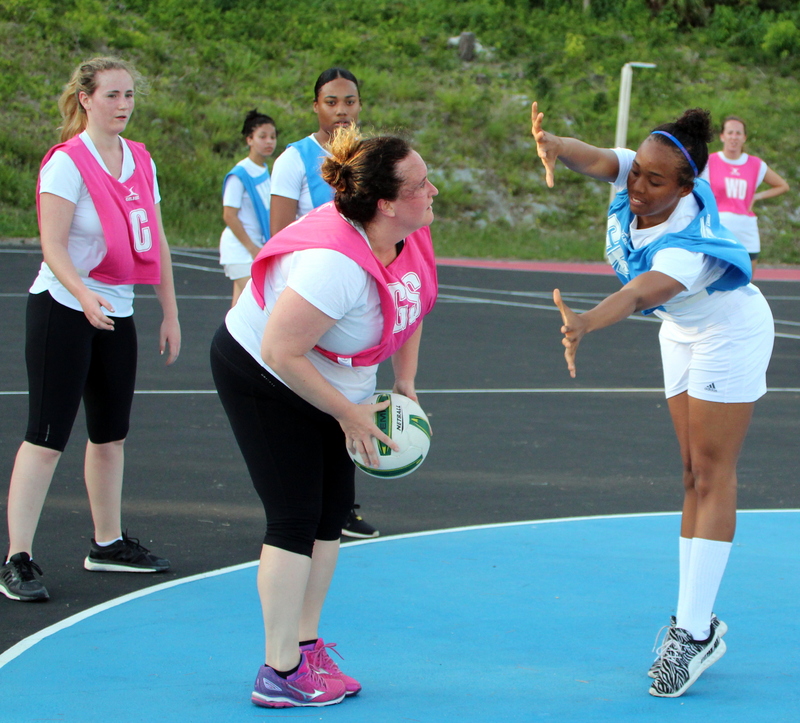 The New Kids on the Court defeated the BHB Angels 25 – 13, Jaylyn Hines led the New Kids on the Court to victory with 22 goals, with Kelli Nusum adding the other 3, while the BHB Angels got 12 goals from Charlene Bogle-Gomez and one goal from Stacey O’Brien. Hines and Bogle-Gomez were named their teams MVP’s, while Hines was named her teams Best Attacker of the game, with Norette Simmons named the BHB Angels Best Attacker. Quaejah Cox was named the New Kids on the Court Best Defender, with Maxine Butterfield named the BHB Angels Best Defender.